Great seeing you at Lux! You looked fabulous! I haven't seen you in such a long time! I was coming in here to reply to your question and got a little drunk. Merry Christmas Ms. Diva Style...have fun! Hahaha! So funny yet practical, lol. 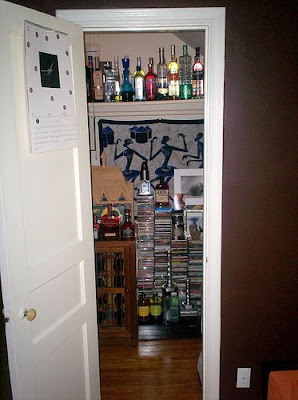 We should start a closet bar contest.